Rubber Extrusion is a process which forces uncured rubber compounds through a die and into the desired shape. Once extruded it is immediately cured. Our process utilizes a continuous salt bath cure line. The uncured extrusions will run through a salt line at approximately 400˚ F and emerge fully cured, with the different components of the material being cross-linked. 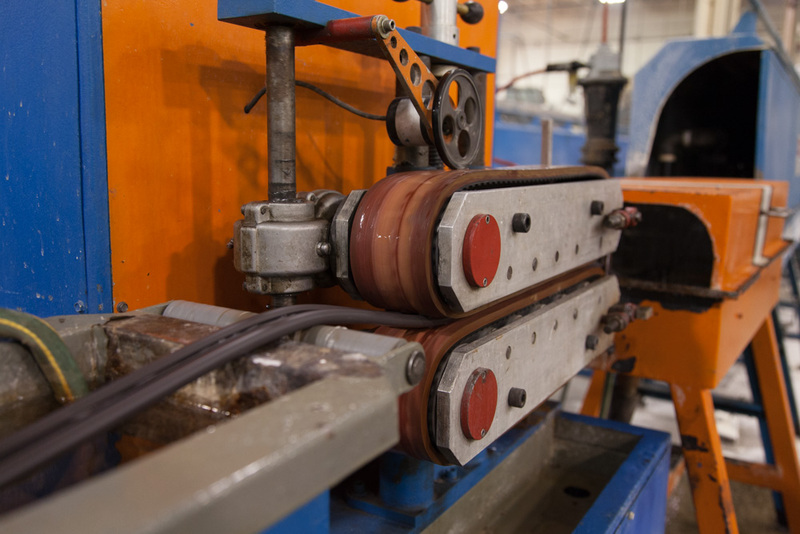 Unlike other methods, the extrusion process lends itself well to high volume lineal foot production runs. By using a salt bath cure system, we are not restricted to limited product lengths, such as with an autoclave cure system. 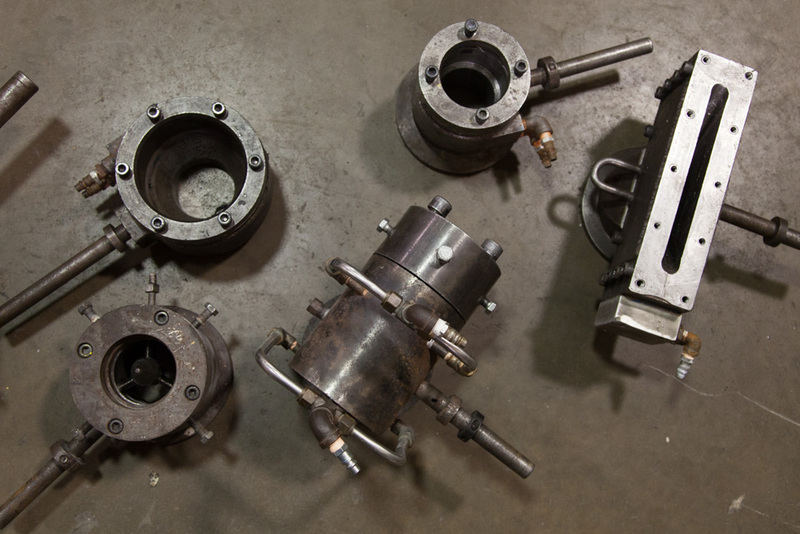 Extrusion also allows a higher volume of material to be processed in a shorter time, whereas the molding process produces a set number of parts per cycle. 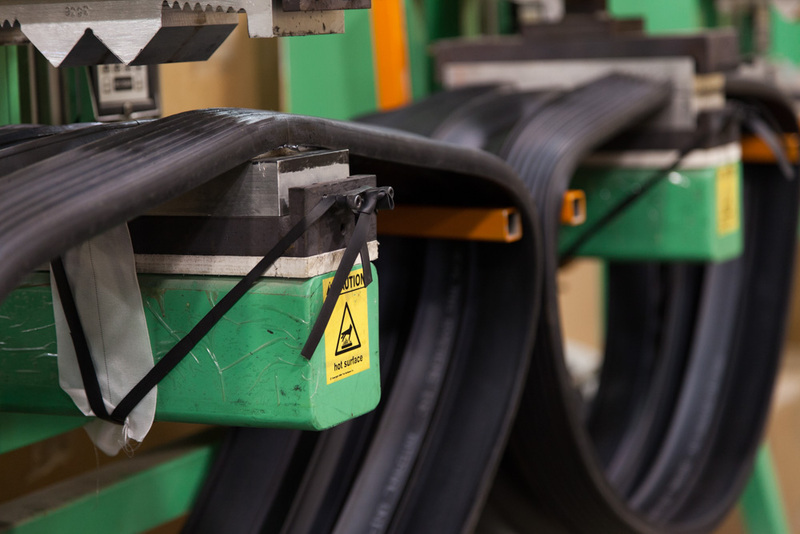 In general, rubber extrusions are produced in accordance with established RMA tolerances. With our main focus being on custom design manufacturing, there are minimum order requirements. The minimum order requirement will vary with profile size and material. Our production runs are based on at least a full batch of material. Material batch sizes can range from 100 lbs for Silicone up to 500-600 lbs for EPDM and other materials. Sponge compounds will also have a much higher yield than dense compounds. An extrusion die is a steel blank that is precision cut to the shape of the cross-sectional profile of the desired part. Once in place, raw material is forced through the die and cured to create the profile. Due to unique characteristics of different materials, dies are material and durometer specific. Contact Us today to learn more about our die design services or fill out our RFQ form to get started on your quality rubber products.